Due to the lack of a professional license anyone can become a personal trainer with little or no education in little or no time. While a small percentage of people may be fit to train clients without any formal education, most people who become successful personal trainers have a synergistic combination of education and experience. How you use the following 10 step How to Become a Personal Trainer Guide will vary depending primarily on the stage you are in your life. Following the step-by-step guide slow and thoroughly is the best way but it is not always possible. Almost 100% of people who decide to become a personal trainer love health and fitness. Whether you are a recreational runner, weekend warrior or bodybuilder working in the fitness industry may appeal to you. In order to best use the How to Become a Personal Trainer guide you should start from step I and pay close attention to each step but which steps you will need to spend the most time on depends on where you are in life. If you are interested in how to become a personal trainer and a career in the fitness industry appeals to you while you are still in high school you will get full benefit from the how to become a personal trainer guide by taking your time and slowly proceeding through the guide completely covering all steps. You are young and most likely have not yet experienced a full time job and the stresses associated with it. As a high school student you really need to learn as much as you can about the personal training profession to see if it is really something you want to invest your time and money into. It can be very helpful for high school students to learn from the experience of other personal trainers so we recommend you read college degree reviews to help you learn how to become a personal trainer through the right college program. If you are currently enrolled at a 2 or 4 year university you are in luck because steps 1-6 in the 10 step guide are pretty much taken care of within any college exercise science program. As a college student you will be able take your time and slowly progress with this guide as you gain experience and knowledge slowly with expert guidance. Since most of what is covered in steps 1-6 will likely be included in your college degree program, weighing your job options will be most important. Since most people leave their college town to find jobs, you will have to put in extra time searching for jobs, comparing and contrasting opportunities in a much wider area than most people. If you have just lost your job and need another job quickly, you will not be able to use the how to become a personal trainer guide properly. It really depends on your prior education and experience but you can still become a personal trainer but you will have to approach this guide in a different order. You must evaluate the job market in your area if you want to continue putting food on the table and paying your bills. Whether you are sick of your current job, tired of sitting all day in front of a computer, or are rich from working your previous job you can become a personal trainer as a change of career. Whatever situation you find yourself in, it is best if you proceed through the entire 10 steps at a comfortable pace in order for you to transition into the personal training profession optimally. DO NOT quit your job thinking you will be able to be training clients the next week. Start off slowly and get yourself qualified as you gain experience which will help you kick-start your new career as a personal trainer off rapidly. If you currently have a career job you are used to a certain pay and the lifestyle you can afford to live. When you first start personal training you will no-doubt be making less than your current career so you really need to figure out the income potential in your area before you decide to make the switch. 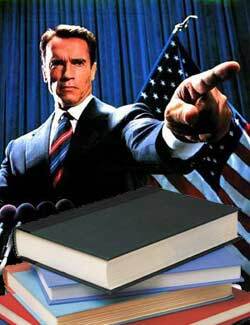 If you could write a 1000 page novel about your responsibilities and you want to become a personal trainer, you really need to weigh the pros and cons of more responsibilities, more time away from your other responsibilities and whether it is worth your time and money to become a personal trainer. What are the Reasons why you want to Become a Personal Trainer ? Before you put in the time and effort and go through the process of becoming a personal trainer you must make sure it is going to be worth your while. To know whether or not it is the right career for you it is imperative you learn exactly what personal trainers do on a day-to-day basis. For various reasons including following poor advice people often rush into obtaining personal training certifications before they even have a clue about the job market. There are many reasons why it is important to analyze the personal trainer job market in the area you want to work before you even think about getting a certification. Before you empty your wallet or bank account for a personal training certification program you must make sure it is A. Accepted at the place you plan to be employed by and A. Accepted nation-wide in case you change locations. Even if being a personal fitness trainer is your dream job, it may be difficult or even impossible to make a living as a trainer in your area. The personal trainer job market can be a problem in two polar opposite ways. It happens time and time again. Someone is over eager to become a personal trainer and they accept the first job offered to them only to find out 6 months down the road that another gym which they didn’t consider offers 25% higher pay. If you thoroughly analyze the market in your area and take your time finding the right job for you, it will almost always pay off in the long run. 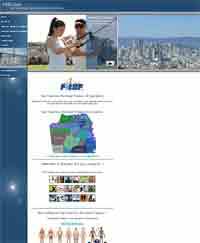 If you are reading this webpage it is likely you are internet savvy but you must not rely solely on your internet wizardry if you want to thoroughly analyze the job market in your area. To succeed as a successful personal trainer you have to be able to communicate well with people. Most successful personal trainers are “people persons” which you likely are so don’t be afraid to get out there and visit each possible employer in your area and don’t be afraid to ask the tough questions. What Personal Trainer Certifications do you Accept? What is the Salary and/or Commission? The pay for personal trainers will vary from place to place. Personal trainers usually get paid a percentage of the cost a client pays per training session with significant chunk going to the gym. Some gyms pay commissions based on sales with base hourly wages and a combination of the two. Since there is often a high turnover rate with personal trainers, employee benefits for personal trainers are not always offered. Ask about health benefits as well as 401k. If the employer doesn’t cover it, you pay out of pocket so make sure you ask this important question. Do you offer any Certification and/or Continuing Education Reimbursement? Some employers reimburse personal trainers for a percentage or even 100% of the cost of certifications and/or continuing education. Reimbursement is something gyms may not broadcast loudly and you will never know without asking. How will I get personal Training Clients? A personal trainer without clients is not going to be able to pay the bills so it it’s important to find out how you will build your clientele. The standard ways personal trainers build their clientele is by performing introductory gym orientations and fitness evaluations to new members as well as scheduling consultations with members they contact on the gym floor. Large commercial gyms often have a pool of clients with purchased training sessions and no trainer. These sessions are usually from membership packages that included training sessions. Since building a clientele one client at time takes a lot of time which may be of the essence starting your clientele with clients handed out by the gym is easier because you can train them over a few sessions before they have to resign which is made easier after you have demonstrated your competence as a trainer. Bring a notepad to the gyms, YMCAs, spas, and other fitness centers you visit and write down everything you observe for future reference. Eventually you can compile a list of the gyms in your area and compare the pros and cons of getting a job at each location. Every legitimate personal trainer certification requires a current Cardio Pulmonary Resuscitation (CRP) card. There are different CPR methods for adults, children and infants which may or may not be required by your employer which is why it is important to complete step II before you proceed any further in your quest to become a personal trainer. There are hundreds of different CPR certifications out there, some internet courses even claim to give you the certification online but they are risky at best. In order to get your CPR certification you usually need to attend a workshop and take a test which follows. The test covers all of what you learned in the workshop. You can expect to finish the workshop, take the test and obtain your CPR card in around 1.5 to 3 hours. Obtaining your CPR card is a small but necessary step in becoming a personal trainer. Ask your prospective employers and certification providers which CPR card providers they accept and whether or not you have to get infant, child and/or AED certified as well. What Happened to Step IV ??? If you did not notice there are two step fives. The reason behind this is to emphasize how important it is get practical experience along with your education. Most college exercise science programs do a great job of combining lecture, books study, labs and internship to help future personal trainers learn the best way. This does not mean you have to get a college degree to become a successful personal trainer. What is means is you should try your best to apply what you learn as you are learning it. The precise reason why experienced personal trainers often scoff at rookie personal trainers who get a job with their shiny new certificate is they often have little or no practical experience. Studying out of a book and retaining enough knowledge to pass a multiple choice exam does little if any good. Proceed to the next part of Step V to learn ways you can begin to gain experience as you learn. This will not only help you retain what you learn better but also help you “think outside the box” as everything in the real world does not happen according to ‘Kinesiology 101’ class or personal trainer certification textbook. Training yourself is one thing, training someone who is the polar opposite of yourself or is even slightly different is another. Personal training is all about being able to apply your knowledge to each client as an individual. If you get your education as you gain experience you will learn the nuances of training people with different goals, athletic abilities and attitudes and truly be ready for steps VI and VII. As mentioned previously, college exercise science programs are set up to help you not only learn but apply the fresh knowledge in practical situations. Most programs require internships before you receive your degree which can often require a few hundred hours of practical experience. Practicum are specialized college courses in which you can also gain experience training a wide variety of clients. These mini- internships are required in some programs and optional in others. Your friends and family know you are trying to become a personal trainer and who doesn’t want to get free training sessions? Training your friends and especially family who likely don’t have the same physical activity levels as you or your friends is an easy way to gain experience in which you can utilize the concepts of your personal trainer certification. If none of the above are a possibility applying what you learn from your personal trainer certification materials by training yourself is better than nothing. If this is the case and you have to resort to utilizing what you learn on yourself, make sure you keep an open mind and constantly think what you would do in other people’s situations. A good idea is to read case studies of people so you can get an idea of what some other people are going through. You can even read through the hundreds of questions asked on this website (link below) and see if you have the knowledge, education and experience to answer them. 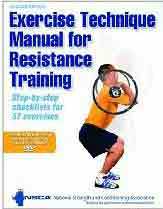 If you truly want to know how to become a personal trainer and succeed as one each Step V is interchangeable. The combination of both experience and education is vastly superior than each individually. Having the scientific background knowledge will make your experience much more valuable. Having the experience will help you retain and learn your knowledge better. 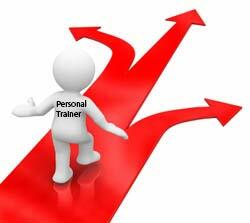 Passing a personal trainer certification exam should be very easy if you went through steps IV and V as directed. Whether your certification exam was strictly multiple choice questions or had a practical section, the simultaneous practical experience and studying should have eased your testing worries. Some certifications announce your test results directly after the exam and others send the results and a certificate in the mail. As soon as you can prove that you have a personal trainer certification, you can start training clients. Congratulations! You are now have truly become a personal trainer but your journey to becoming a successful personal trainer has just begun. If you have followed the How to Become a Personal Trainer Guide closely thus far you should have a few job options lined up. Now that you are ready to begin training clients accept the best job opportunity and get to work. There are entire websites, books and seminars dedicated to teaching how to train clients and keep them. You can complicate things by using other people’s ‘secret’ tactics and hocus pocus methods which may or may not work but the best way to train and retain your clients is to simply use feedback. To be a successful personal trainer you must learn how to get as much feedback as you can from your clients. Feedback comes in verbal and non-verbal forms and includes what your clients say, facial expressions, body language and much more. If your clients don’t show much emotions, don’t be afraid to ask. As a matter of fact you should be asking your clients questions, seeking their feedback throughout each training session and sometimes multiple times per set. If you are at this point on the How to Become a Personal Trainer Guide, you should already be educated, have some experience and know hundreds of exercises which you can expand with dozens of variations and progressions. You know the road your client needs to go on to achieve your goals and your job is to simply guide them to them. You can successfully navigate the road, get around the obstacles and avoid bumps on the road by always using the feedback from your clients just as your clients use feedback from you. It is such a simple concept yet many personal trainers fail to use it and often times end up failing as personal trainers because of it. Your clients are not you, and you need to be able to empathize with them and guide them to their liking or you will lose them. Training Jane Doe the trainer instructs her to do squats and demonstrates the form of the exercise. Trainer asks Jane Doe if she understands, she says, “yes.” Jane Doe starts to perform the squats. The trainer notices Jane grimace as she squats. Trainer asks Jane if she is alright. Jane tells the trainer she is okay but just doesn’t like the exercise. Trainer takes note for future reference. Next session trainer instructs Jane Doe to squat again and Jane Doe asks trainer if we really have to do squats again because she hates them. The trainers says, “no,” if you don’t like them, we can do lunges instead but squats are one of the best exercises you can do. Jane Doe says, “okay but I don’t like them” and does the lunges instead…. In the previous example the trainer used Jane’s feedback, offered his/her feedback to Jane who gave the trainer the option to make a decision based on feedback. Was it the right decision? Everyone knows squats are one of the best leg exercises but lunges are also a great legs exercise. The personal trainer made the decision based on the client’s preference to skip the squats. Even though the trainer may have been thinking Jane was perfectly capable of doing the squat, squats are better than lunges for the clients goals and personally does squats even though he/she hates them he/she still let Jane skip the squats. The decision the trainer made was the correct decision simply because it was the best for his/her business. Forcing a client to do squats when there are almost equal alternatives would almost certainly cause the client to become dissatisfied over time. Could the trainer have continued to force Jane Doe to do squats? yes but it would have increased the chances she would become unhappy. Happy clients stay with trainers and put food on the table while unhappy clients quit and/or find other trainers. 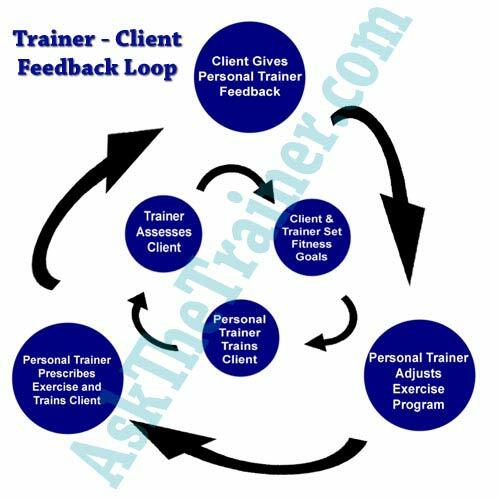 The previous example of client – trainer feedback is just a random example of something that is constantly occurring during each session (represented as outside loop on chart) and each group of training sessions. You have the knowledge, experience and education to train anyone, your success will be determined by how well you communicate wit your clients. Your ability to communicate with your clients by relying on the feedback provided verbally and non-verbally and the ability to constantly provide feedback to your clients is the most important part about being a successful personal trainer. Personal trainers seldom love walking the gym floor but as an employee personal trainer it is a fact of life. The routine usually goes like this: Personal trainer walks around the gym. Personal trainer sees people exercising. 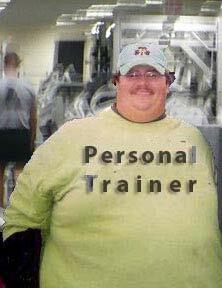 Personal trainer helps people that need it. Personal trainer solicits their personal training services to people who seem open. The key with getting new clients from the gym floor is to establish a professional presence amongst gym members by being friendly and polite as well as knowledgeable without giving away too much of the valuable personal training service. The very best way to obtain new clients is by referrals. The referral process really starts to work wonders after your clients start achieving their goals but you can ask for referrals at any point. Referrals work best simply because your client’s word is worth far more to their friends than an advertisement or website would be. The key for getting client referrals is to ask for them. Make sure your clients know you are accepting new clients and would be grateful for referrals or they may think you don’t want any new clients. While all gyms offer introductory orientations to new members many corporate gyms have special membership packages which include full personal training packages. If the sales staff knows you well enough they will know when new gym members are a fit with you. These clients are far more likely to resign for more training sessions than the members who are often forced to schedule a gym orientation. Clients coming and going is a fact of life for any personal trainer but it is almost impossible to build a good clientele if clients leave after the first set of training sessions. As mentioned above, if you provide your clients with exceptional service they are likely to come back again and again. You will know you have become a successful personal trainer when your loyal resigning clients make it difficult to fit new clients in your schedule. If you feel there is a long future ahead of you with the company you started personal training for this could be the final step. An employee personal trainer can only train so many sessions. Once a trainer has a full training schedule they can either keep training or attempt to move up in the company. Most corporate gyms have several levels in which a personal trainer can advance his/her career and move up in the company. The first way that most personal trainers advance with a corporate gym company is becoming fitness manager. Fitness manager is usually the true crossroads for an employee personal trainer as they must trade the smiling faces of clients for the pressure to make money on a weekly, monthly and quarterly basis. If you feel the direction of your career as a personal trainer in a corporate gym is not headed in the right direction becoming an independent contractor is the other primary way to become a successful personal trainer. After establishing a clientele in a corporate gym, filling their schedule and training for extended periods of time, many personal trainers seek greener pastures as an independent trainer after they feel they’ve become hamstrung by certain aspects of working in a corporate gym. While there certainly are many advantages to becoming an independent personal trainer there also disadvantages to take note of. Which path you choose to take depends on many factors including whether or not you can take a risk or not. For example, if your full-time job at the corporate gym is barely allowing you to pay your bills, take care of your kids and pay your rent with an empty savings account quitting your job at the gym shouldn’t be an option. If you do the math and figure you can live comfortably, pay all your bills and still have a life during the transition from an employee to an independent trainer then the risk could pay off big time. If you decide to go independent you should revisit step II of this How to Become a Personal Trainer Guide as you check with your local gyms to see which ones allow independent contractors and what fees they charge. Most gyms which allow independent trainers either charge a monthly set fee to use their facilities or charge per training session. Many of the things personal trainers take for granted while working as an employee for a corporate gym will become responsibilities as they become independent. While there will be many new things to worry about including paperwork, new fee structures, advertising, website design etc. obtaining new clients is the #1 obstacle for any independent personal trainer. Depending on the location you choose to conduct your personal training as an independent contractor some methods you used in the commercial gym (step VII) to get clients will work and some will not. Asking your current clients for referrals will always work as will walking the fitness floor of any gym you work out at but you will not likely get any help from sales people so you will have to do the work on your own. Your loyal personal training clients who you have been training as an employee did not sign up for repeat packages because of the gym they were training at. Your clients are just that, yours they signed up because of the trainer. Most dedicated clients will remain with a trainer and follow them wherever they decide to go. Take as many clients as you can with you to your new location of training. Networking with other business in your area allows you to get maximum exposure for your business while you help your clients at the same time. Best thing of all about business networking is it equates to free advertising. In today’s day and age every successful business has a professionally designed website and your personal training business should be no exception. Your website design needs to be clean and user friendly but most importantly it must convey a message that is close as possible or exactly what you represent as a trainer. Aside from the actual web design, a personal trainer’s website needs to be written clearly. I’ve Become a Successful Personal Trainer, Now What ? Unfortunately the majority of people who become personal trainers never reach this point. With any luck, hard work, persistence and dedication you will get to the point where you can take your passion for fitness to the next level. Whether you followed the steps in the AskTheTrainer.com how to become a personal trainer success guide or went through the process your own way there is a point in any personal trainer’s career when they feel the need to advance. Whether it is the case of personal trainer burnout, you simply want to make more income, or feel the need for new challenges there are still several ways in which an independent personal trainer can attempt to advance his/her career. Personal trainers who go from gym employees to independent contractors often feel bombarded by responsibilities. 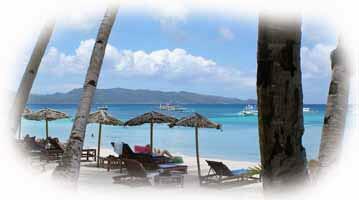 Multiply that tenfold and you have the responsibilities which come with owning your own gym. Whether it be for printed books or websites about fitness and personal training authoring is a definite possibility for any personal trainer who has experienced the life as a full-time successful personal trainer. Personal trainers develop intimate relationships with the equipment they use on a daily basis. Who better to come up with the next revolutionary idea for fitness equipment? There are really no ‘secrets’ to how to become a personal trainer just simple things that personal trainers tend to neglect. These can cause problems such as losing the passion which brought them in the business in the first place and even personal trainer burnout. Being the gym for 8-10 hours a day training clients is tough enough and staying for that extra hour to train yourself can be even tougher. Your passion for health and fitness is what made you the successful personal trainer you are today so always try to squeeze in even a short workout because all personal trainers know that skipping one workout can lead to another and have a domino effect even for personal trainers as they are only human. Most independent and gym employee personal trainers end up working split shifts. It can often be rough because you are working when most other people are NOT working. This can lead some personal trainers to begin to ruin their social health which can affect mental health and even physical health. If need be, take that Friday night off from training and go to to a ballgame or happy hour with friends, don’t worry, your clients will forgive you. When it comes down to it, personal trainers are somewhat at the mercy of their clients’ schedules which can lead to long periods of time without a break. If you do not make time and take a vacation they will almost never come up which could increase the chances of personal trainer burnout. Each ‘vacation’ doesn’t have to be a round-the-world adventure as every little bit helps keep to keep the flames of passion for health and fitness burning. A weekend out-of-state helps wonders for a hard working personal trainer, and again, your clients will forgive you. A personal trainer’s primary job is to train their clients safely and effectively to avoid injury and achieve their fitness goals. This takes time and with a full schedule a personal trainer can get stuck in the same routine for extended periods of time. To avoid letting your personal training services get stale for you and your clients, make sure you set new goals which may be with your business, personal health, and or clients often. This will not only continually advance not only your business, but yourself as a professional. Some personal trainers are so eager to help people that they will accept new clients who are not a good fit or continue to train clients they do not enjoy training for whatever reasons. If you are training enough sessions to make a comfortable living, don’t let that bad apple client bring you down. Some things just are not meant to be and if you suspect during a consultation that you are not the right personal trainer for them, refer them to another trainer. Q) I really want to specialize in a single type of client. How do I become a personal trainer that trains a specific group such as bodybuilders, pregnant women? A) Step II where you weigh your job options should have you thinking about which types of clients you want to work with. By Step V you should be learning about your desired clients as well as gaining some experience with them i.e. you want to train athletes so you volunteer at the local university’s strength & conditioning department. Q) In your example of trainer-client feedback the trainer let the client get away with doing the less effective, more challenging exercise with no real reason. Why? A) If you pay your bills with your personal training it is essential you master the relationship between business and science. The positive relationship with your clients is what makes you a successful personal trainer. Anything that negatively stresses this relationship between client and trainer can be bad for business. In the example you mention the trainer made a compromise with the client exchanging squats for lunges. The vast majority of the time, making a compromise with a client such like the example is better for the trainer-client relationship than forcing them to do something they do not enjoy which more often than not will strain the relationship. Of course overall feedback from clients will determine how you handle specific situations but by playing the percentages, more of your clients will be happy and you will have more earnings for your personal training business. If you still have questions please visit the personal trainer Q & A archive. If you still cannot find the answers you are looking for please let us know.